Hey guys!! 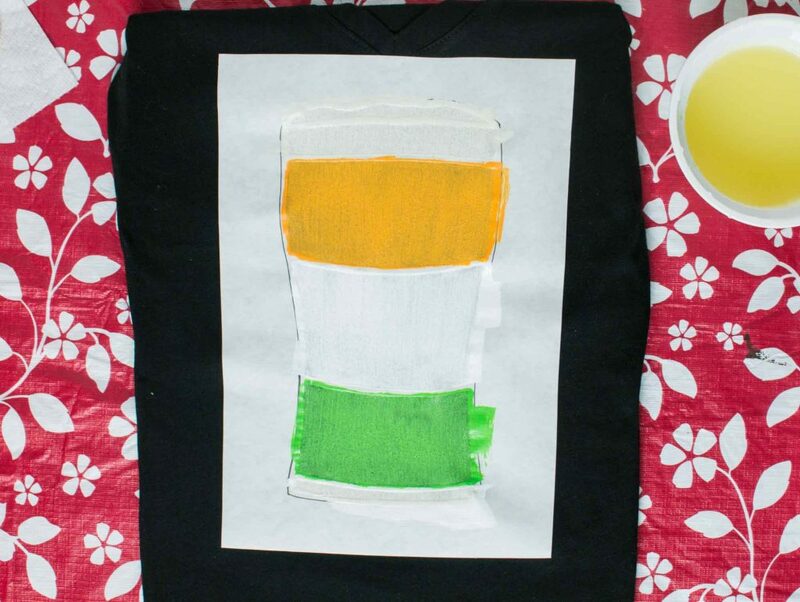 We made a fun DIY St Patrick’s Day shirt for next weekend. It is really easy to make and can be done in a single afternoon or evening. 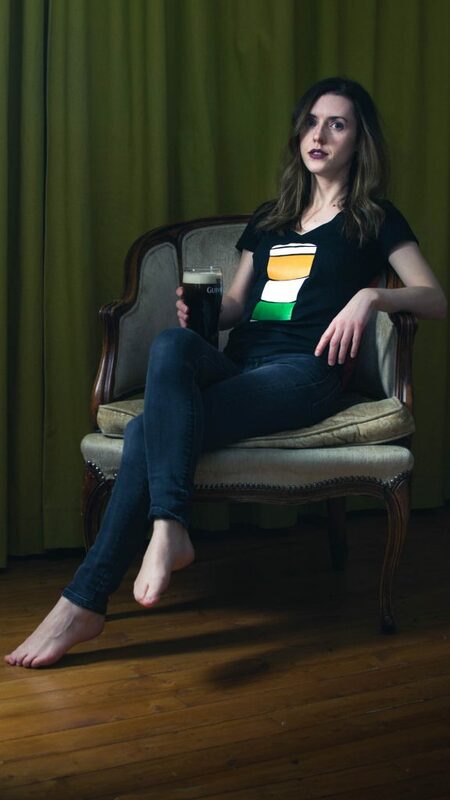 We decided to go for an Irish flag inside of a pint glass, because even though most Irish folks I’ve met don’t dress up for St. Patrick’s day, we NL’ders sure like to. 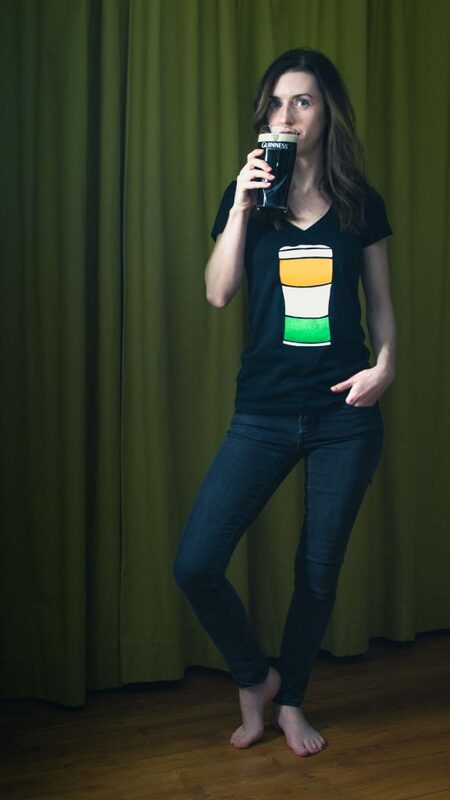 So stand out from your fellow drinkers on March 17th, with our fun design! Follow below for our step by step instructions. Also, excuse the photos – they were taken at night with only one light source, so they’re a bit grainy. 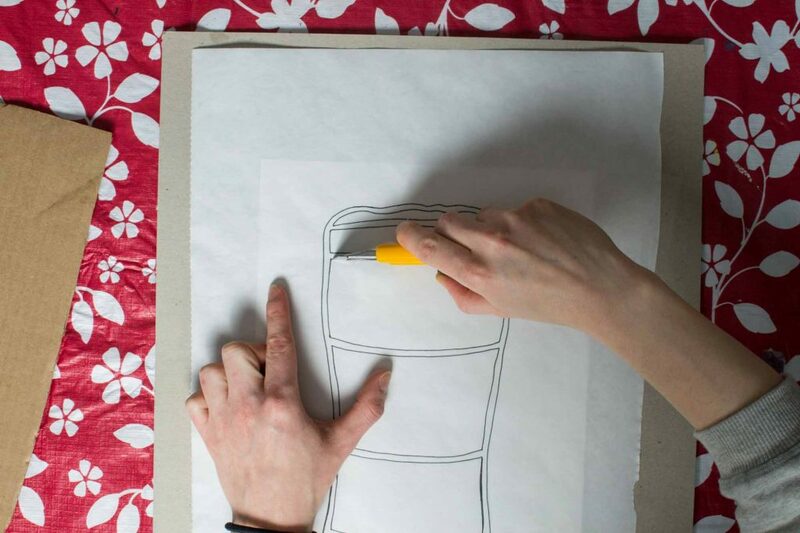 Print off your design and gather your supplies. 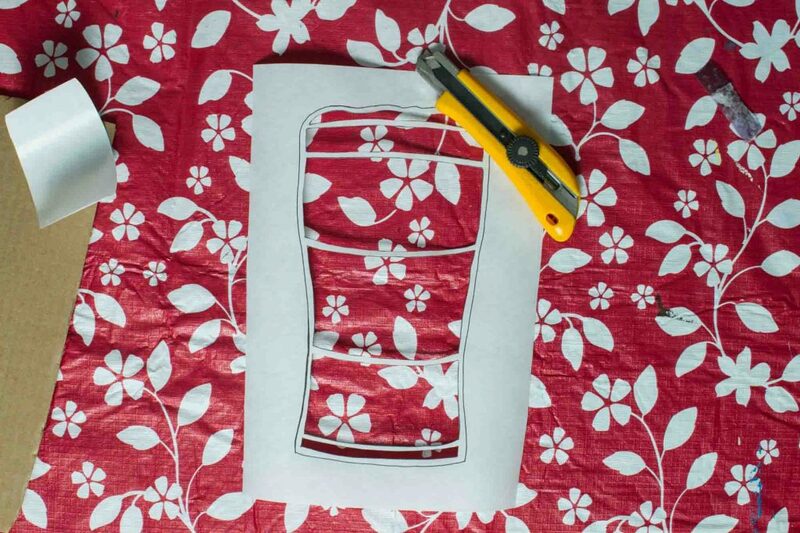 Cut out a piece of freezer paper that is larger than the design. Tape to a piece of cardboard with the shiny part of the paper down and the design underneath. 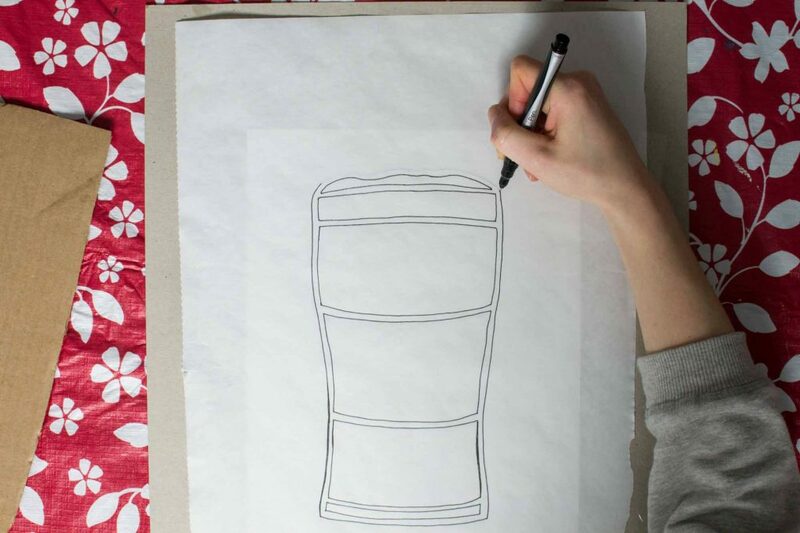 Using your fine tipped marker, trace out the design. You do not need to trace the outer line like we did, as it’s not used. We had an idea and it would have been too difficult, so we switched it! Using your exacto knife, carefully cut out all the squares/rectangles. Turn on your iron and turn off the steam. 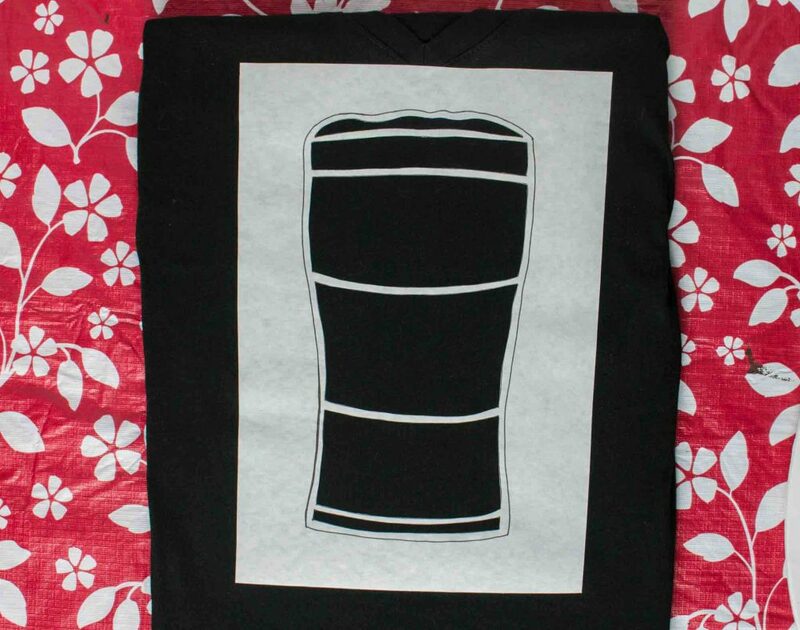 Place the freezer paper on your t-shirt wherever you want it, shiny side down. Using your iron, press down onto the stencil and hold for 20 seconds, moving around the stencil making sure to cover every area. Next, mix each acrylic paint with equal parts fabric medium. 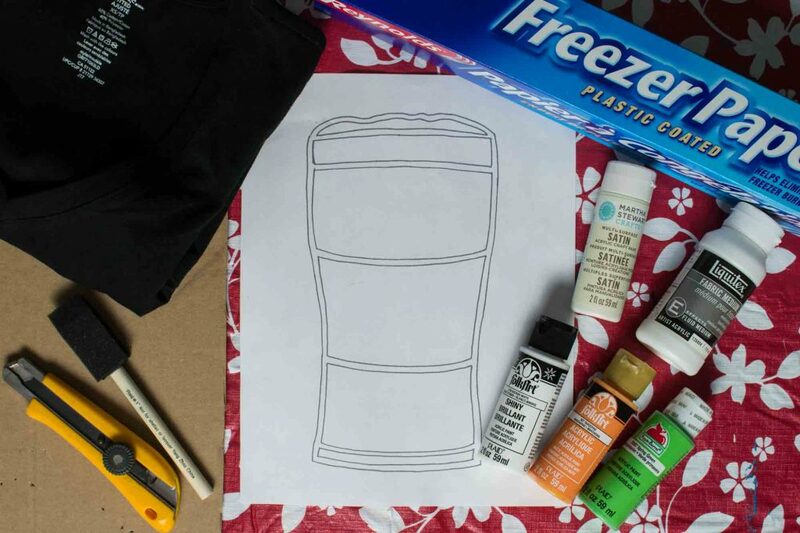 We mixed a bit of gold paint into the white to make a cream colour for the foam on top of the beer. Place a piece of cardboard inside the t-shirt and wrap the extra material behind it. Using the foam brush, pat/brush the paint into the squares. Since it’s going on black material, the paint might not be as vibrant as you like and you might need more than one coat. If you do, use a hair dryer to dry the paint quickly between coats. Keep in mind if you do multiple coats, the resulting print will be stiffer. Because of this you’ll need to use the exacto knife to cut the paint at the edge of the freezer paper to get a clean look. You can always leave the paint on the thin side if you like that look, just remove the stencil carefully before the paint has fully dried. 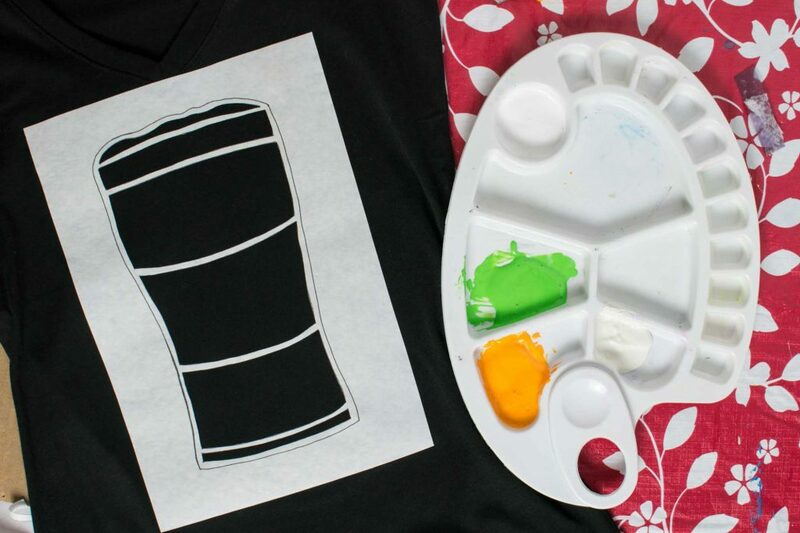 Once finished and the paint has dried, turn it inside out and throw it into the dryer for 10 minutes to set it. If the print curls, just iron the back of the t-shirt (not directly on the print!!) to smooth it out. 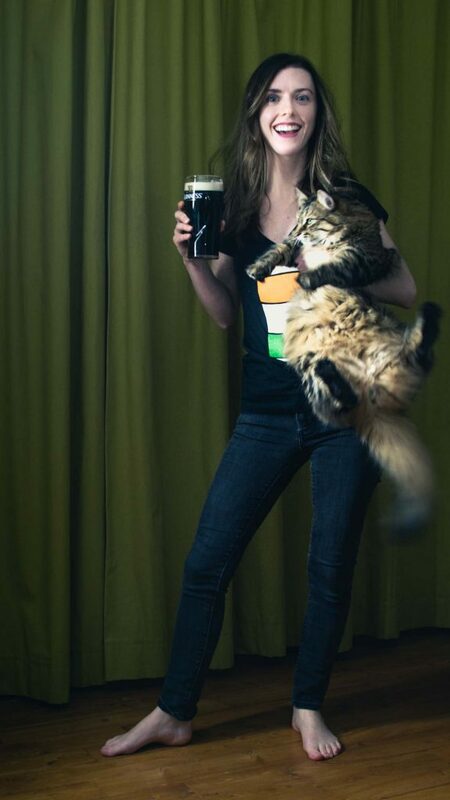 Happy St. Patrick’s Day!! !